If your Western ski vacation takes to Salt Lake City, save a day for Robert Redford’s Sundance. It’s about an hour from the airport, but it’s off the beaten track, and it’s laid back. It’s the only resort where you can ski—and then create jewelry, make wheel-thrown pottery, or do printmaking all in the same day. While Robert Redford was still a young actor, he was drawn to the wilderness. He bought two acres in secluded North Fork Canyon and built a small home, doing much of the work himself. Then in 1969, he bought the entire pristine canyon to protect it from developers who might dice it into small lots, sell it off for homes, and destroy it. He saw the perpetual tug-of-war between developers and environmentalists. Redford lives his beliefs, saying don’t squander the wilderness for short term gains. 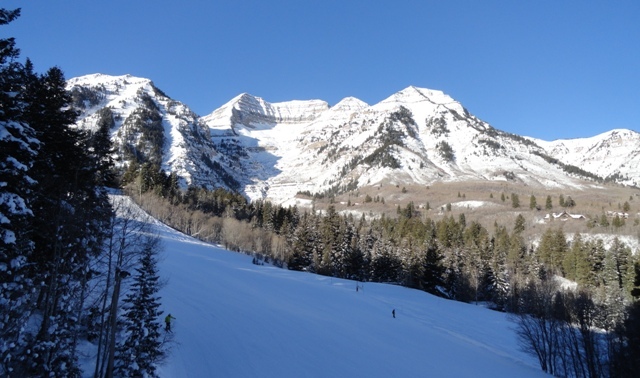 Sundance is a 5,000 acre environmental preserve on the shoulder of towering 11,700 foot Mount Timpanogos. 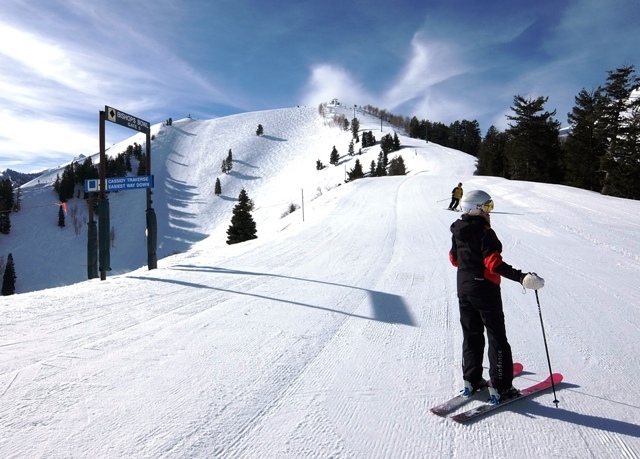 It encompasses the 450 acre ski area with four chairs, 44 trails, two terrain parks and a 2,150 foot elevation drop. The window ticket price for those 65 and over is $30. And it’s a resort with a twist. The famous Sundance Film Festival was born here, and it celebrates the creativity of independent film makers. Redford believes that creativity and new ideas are good for the soul. Everyone’s soul. 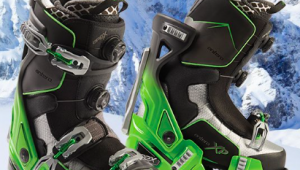 So you can ski in the morning, create silver jewelry in the afternoon, and then wear it home. In just two hours in an Art Studio workshop you can create your own memory of Sundance even if you think you don’t have a creative bone in your body. Workshops are especially appealing to those who want to enjoy the intimate resort but not ski all day. 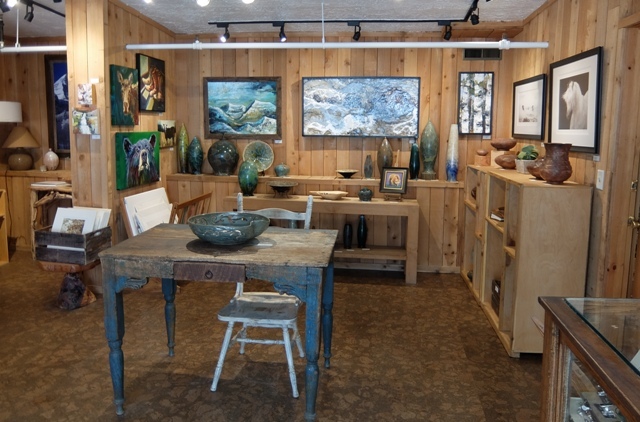 There are workshops in jewelry, soap making, journal binding, drawing, painting, wheel-thrown pottery, and print making. Classes are very small or it’s likely the session will be one-on-one with your instructor. “Take a person from a busy city. They race to catch a plane, they fly, they land, they jump back into the fast lane. We’re going to slow them down a little bit and let them savor the mountains and the experience,” he said. 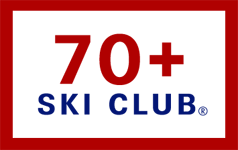 Sundance’s active senior group —it’s called the Senior Ski Group—meets and skis together weekly accompanied by a ski school instructor who skis along and gives tips. There’s also snowshoeing, cross-country skiing, and night skiing. The Bearclaw cabin on the summit offers 360 degree views. It serves soups and sandwiches and brownies that are to die for. 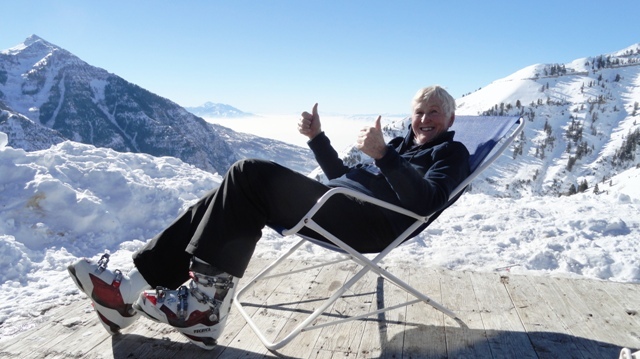 On warm days, skiers lie back in deck chairs and soak up the high mountain sunshine. In the base area, there’s Creekside for a quick bite. 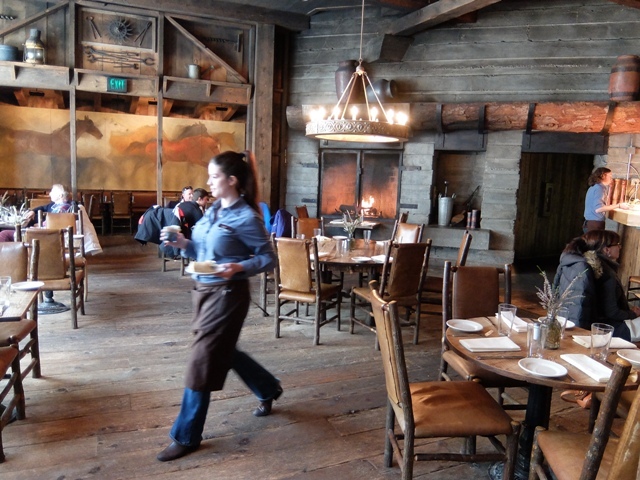 The Foundry Grill has an earlier times atmosphere with farm implement decor, rough hewn wood floors and a roaring fireplace. The Tree Room is built around the live native pine tree and has a romantic atmosphere. And there’s a country store with more of those brownies. But what really distinguishes Sundance is its low key ambiance and relaxed atmosphere that have disappeared from many mega resorts. Sundance is located 56 miles south of the Salt Lake International Airport. The trip takes a little over an hour. 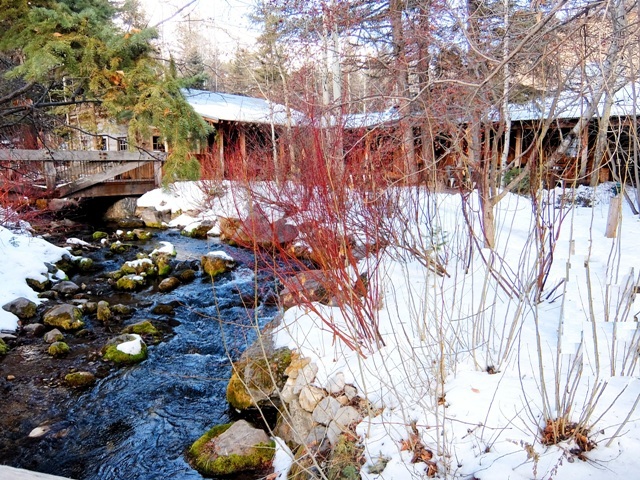 You can reserve a luxurious, secluded Sundance cabin, or there’s ample lodging in Provo about 13 miles away. For Sundance webcam, click here. For Sundance trail map, click here. Any chance of booking a cabin during the week of March 17 for 2 adults?